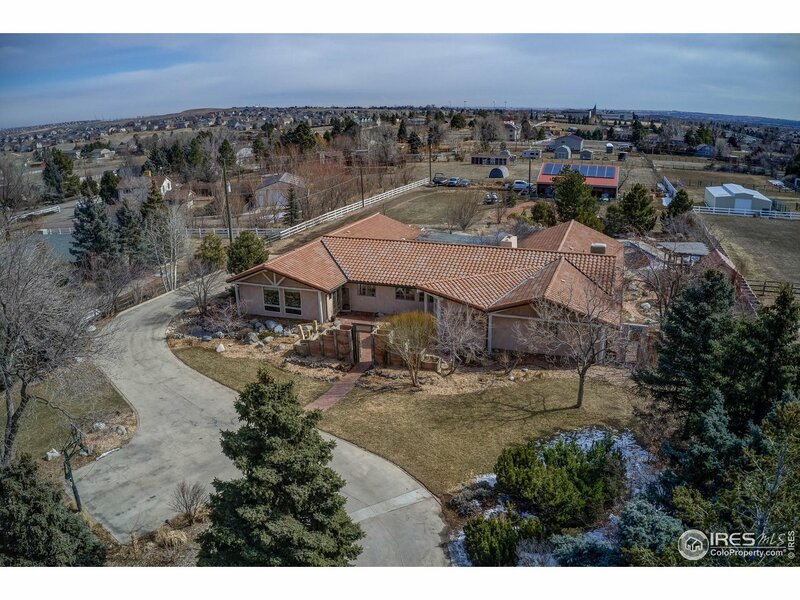 All Broomfield homes currently listed for sale in Broomfield as of 04/22/2019 are shown below. You can change the search criteria at any time by pressing the 'Change Search' button below. "This beautiful luxury ranch style home is a rare find in the The Preserve at McKay Shores! You will fall in love with the gleaming hardwood flooring along with the high ceilings and spacious, open feel. Features include upgraded tile, wood flooring, granite & cabinets. The finished basement includes a bar, family room, bedroom, 3/4 bath and office area. Situated on a 1/3 acre lot, covered patio and beautiful stone wall across the back. Great location to shops, schools & restaurants"
"Don't let the Southwestern style fool you!This incredible,one-of-a-kind golf course custom is ready for your lifestyle,artwork & furnishings w/all the modern amenities-wide-open floorplan,gorgeous daylighting,phenomenal indoor & outdoor entertaining spaces,wet bar/kitchenette,rec.room,bedrooms w/en-suite baths+office/bonus spaces-coupled w/ style,warmth & uniqueness you won't find in any of the othercookie-cutterhomes around.Insulated floors keep lower-level quiet while entertaining upstairs." "Ranch Home with 12' ceilings. Fireplace in great room with floor to ceiling tile. Stacking sliding doors open onto covered patio. White maple cabinets and light gray tones gives this home a modern and bright feel. Master suite boasts an elegant entry along with a luxury shower and stand alone tub. Backing open space gives this relaxing home a polished finish guaranteed to please." "Fabulous single-family, ranch-style home! Main level offers 10-ft ceilings, & hardwood/carpet mix. Gourmet Kitchen features granite-slab countertops, huge center island, casual dining area, & opens to Family Room with gas fireplace. Main-floor Master features private huge walk-in closet. Basement has a 2nd kitchen, 3 additional conforming bds with walk-in closets big enough to be small study spaces; or make one a Home Theater, & another a Workout space or Private Study!" "This Stunning Home Can Not Be Missed. With Designer Finishes Throughout, This Home Will Impress The Pickiest Of Buyers. Upon Entering You Will Notice The Soaring Ceiling and Abundance of Light. The Refinished Hardwood Floors Flow Throughout. 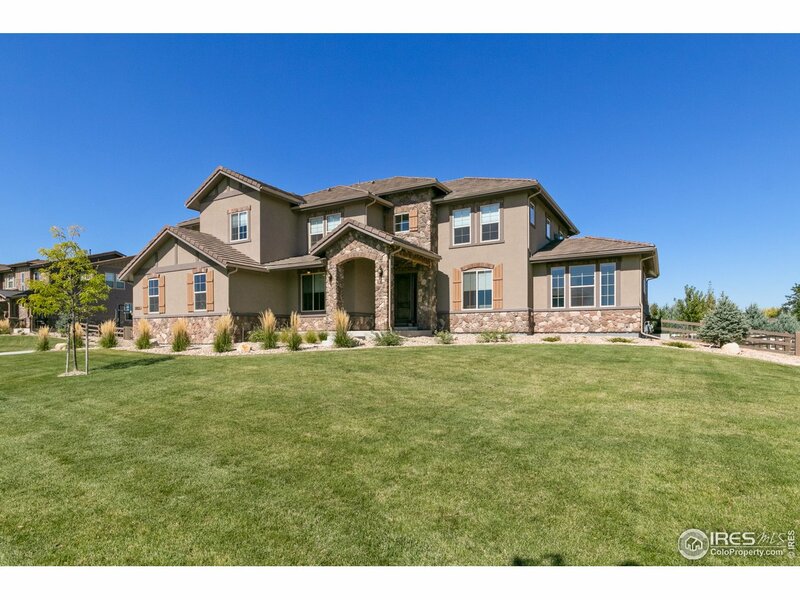 This 5 Bed, 5 Bath Home Plus Study, Offers Plenty Of Space. There Are 3 Gas Fireplaces For Those Colorado Winter Evenings. The Kitchen Boasts Slab Granite, Glass Tile Backsplash, Butler's Pantry, and Is Open to The Family Room." 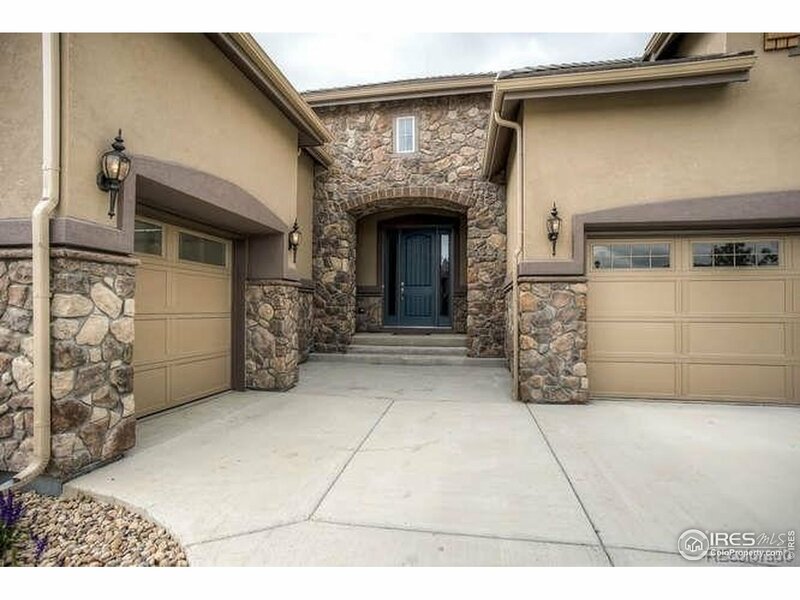 "Welcome to This Beautiful Home Located in the Prestigious Silverleaf Neighborhood in Broomfield! This Prime Lot Boasts Mountain Views and Backs to a Walking Trail. Upon Entering, You Will Love The Newly Refinished Hardwood Floors that Flow Throughout. Entertaining is Top Notch With the Formal Dining Room and Open Concept Family Room & Kitchen With Updated Lighting. The Main Level is Complete With a Study w/Built-Ins, Large Mud Room & a Half Bath. The Upper Level Has 4 Bedrooms, & 3 Full Baths." 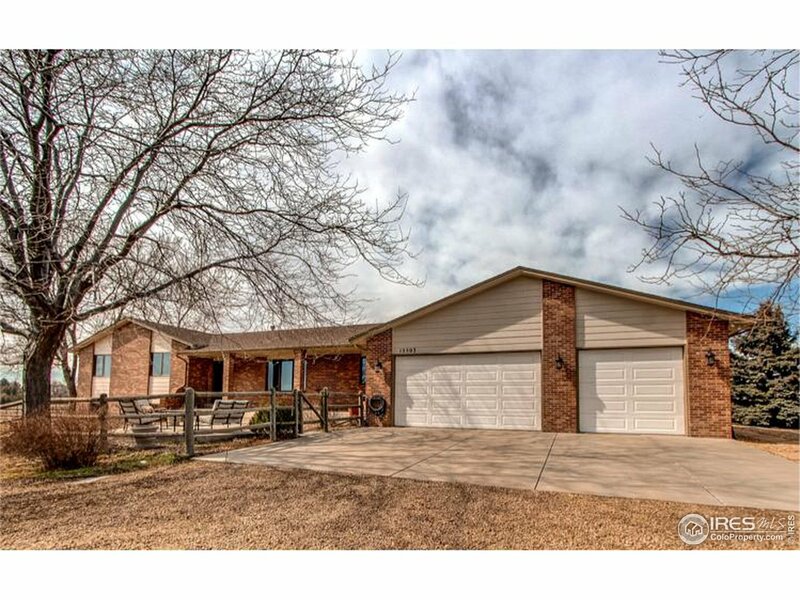 "Updated 2-step ranch = pleasure of country living & convenienc of city living. Granite ctops in kit, Quartz ctops in baths, natural slate flrs, custom maple cabs... 850SF 3-car att gar + shed. Covered cabana @ XL patio = mtn&sunset views. Love horses? A-1 zoning. Beautifully lndscpd & fenced 2.26 acres w perennial gardens & irrigation system. Drought-resistant & low-maint crested wheatgrass = easy to maintain/requires no water/minimal mowing (avg 2X per season!). 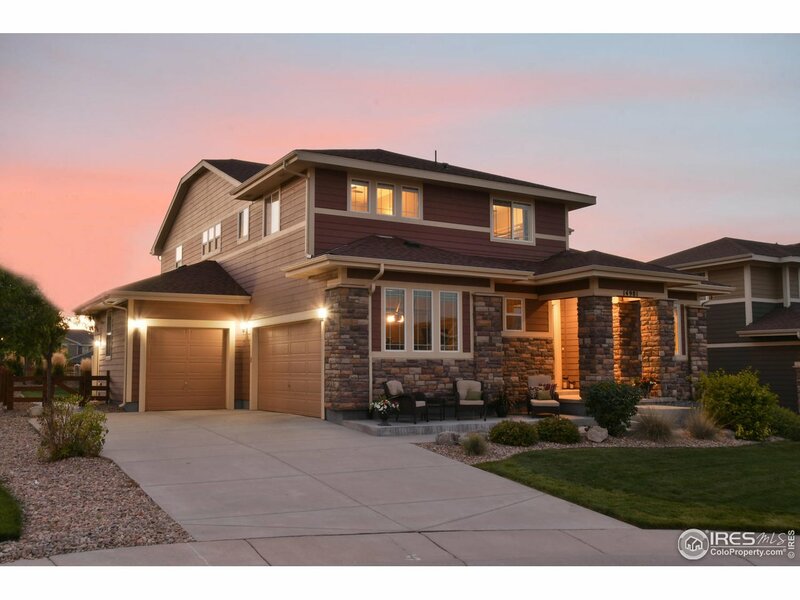 Easy access to I-25 & E-470." 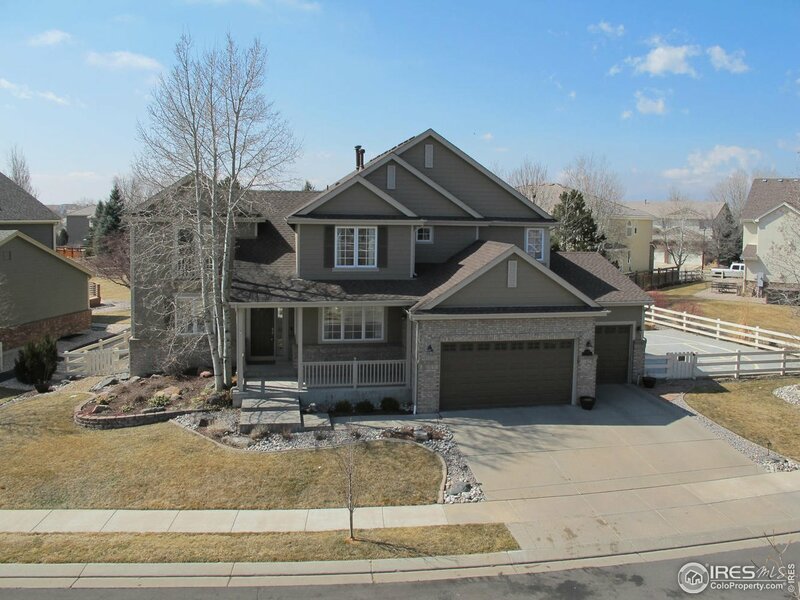 "Come home to this stunning 5 BDRM 5 BATH home in the heart of the Anthem Highlands community. This home boasts a grand entry w/ office & entertainer's kitchen w/ large central island, granite countertops, double oven, breakfast nook &plenty of cabinets. The finished basement has wet bar w/ wine refrigerator, sink & refrigerator & an additional large BDRM & BATH. Don't miss out on this perfect family home in a very desirable community w/ walking trails, pool, fitness center, and much more." 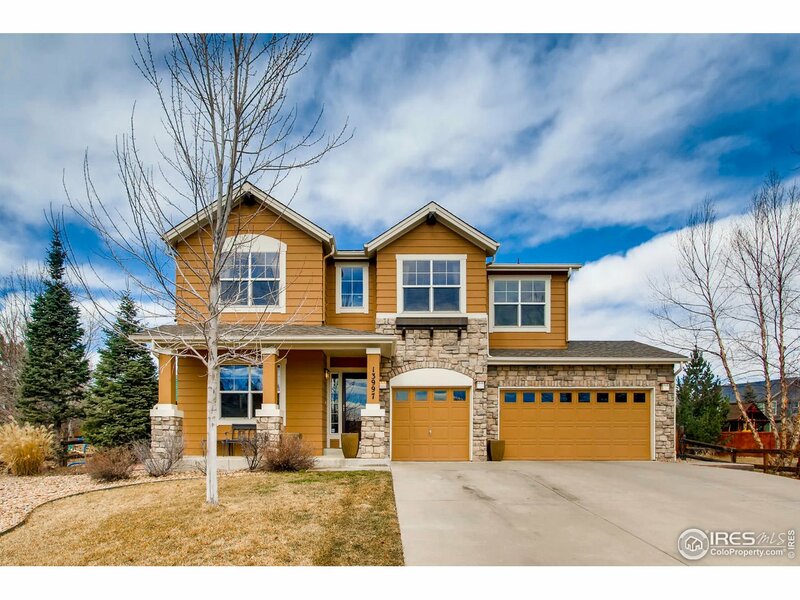 "Fantastic Lot, Mountain Views, and Backs To The Park In The Prestigious Mckay Landing Neighborhood in Broomfield! 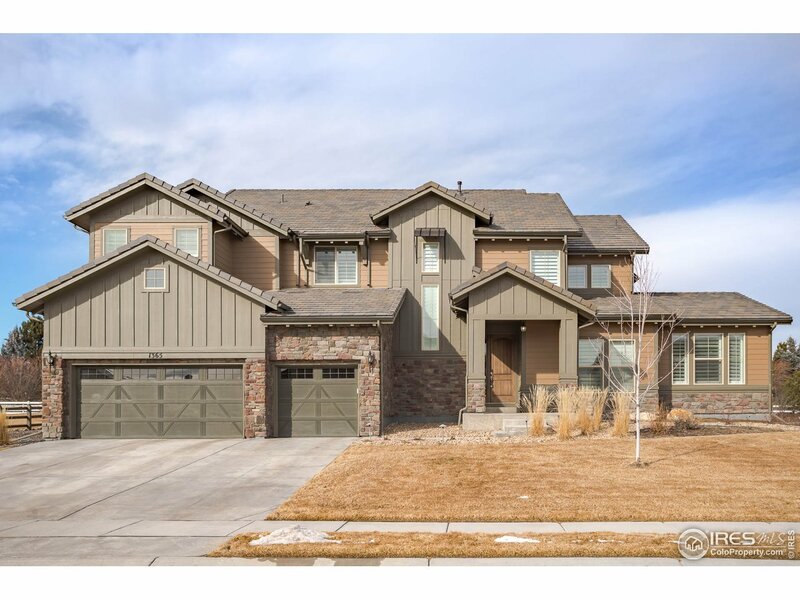 This 5 Bedroom, 5 Bath Home Has Plenty Of Space and an Updated Kitchen and Master Bath. The Kitchen is Open To The Family Room and Boasts Quartz Countertops and Stainless Steel Appliances. The Main Floor Also Has a Study, Living Room, and Dining Room, all Perfect For Entertaining. The Upper Level Has 4 Bedrooms and 3 Baths. The Master Bedroom Has Vaulted Ceilings." "Don't miss the opportunity to live in this highly sought after Cornerstone model in Anthem's Prospect Village. This very well appointed home has elegant high-end designer upgrades. The lot features beautiful mountain views and a spacious back deck with hot tub, built-in BBQ and smoker, pergola, water feature and pond. 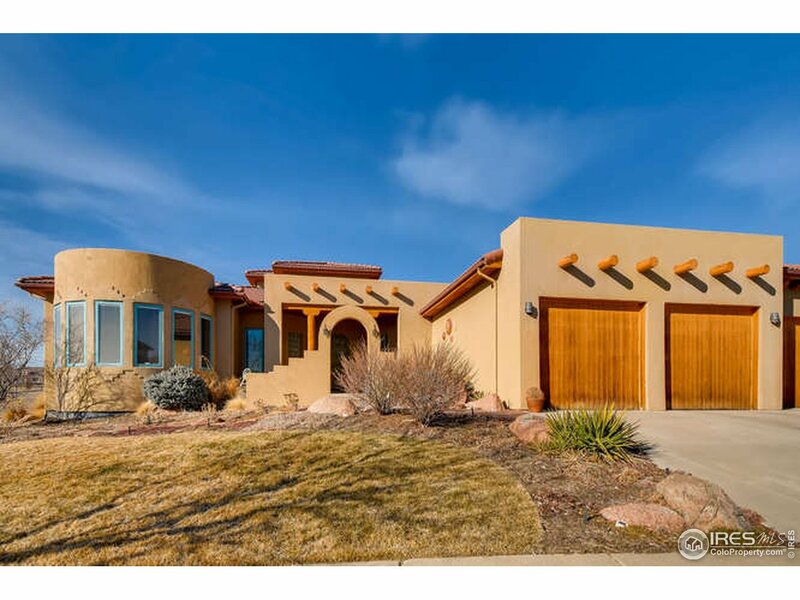 This 4 BR, 4 BA home includes a finished BSMT, 1st floor office, large granite counters, stainless appliances, upgraded lighting, custom window treatments, and much more." 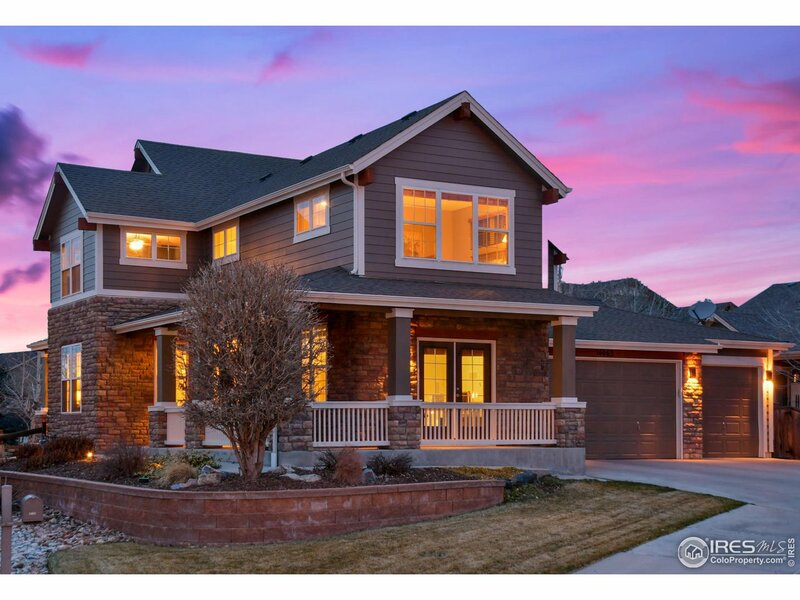 "BEST value in the BEST neighborhood in Broomfield! This beauty boasts an open layout throughout with a fully finished basement with HUGE rec room and FULL bar designed to entertain. Large kitchen with Stainless Steel Appliances, double oven, large pantry and granite slab counters that opens up to a spacious great room. Master bedroom features dual sink and walk in closets. 1 block from Wildgrass Park. Great hiking/biking trails in the area. Quick access to E-470. 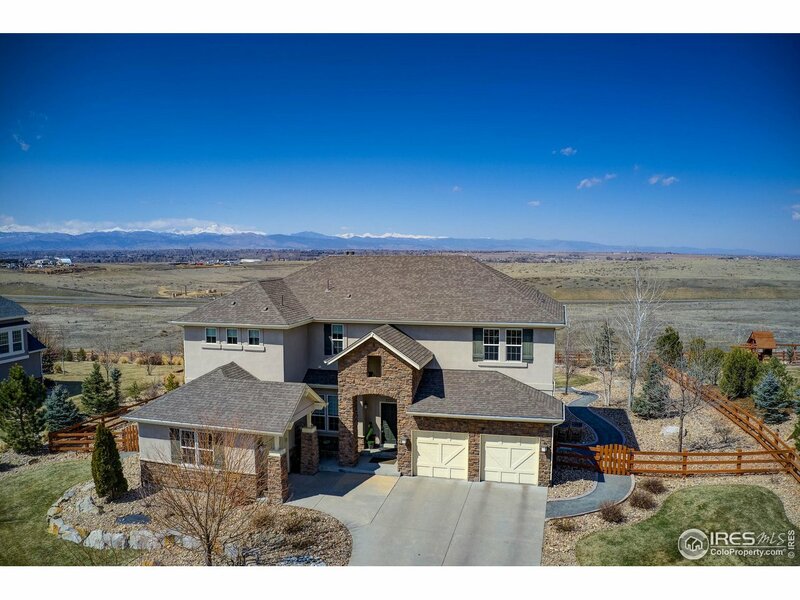 Seller is licensed agent in CO."
"SPECTACULAR WILDGRASS HOME featuring great mountain views, 5 bedrooms, 4 full baths, + office. Open floor plan with remodeled kitchen, white quartz counter-tops, hardwood floors, & fireplace. Large master bedroom, 5 piece master bath, walk-in closet. Finished basement with wet bar, full bathroom, & 120 home theater! Farmhouse sink, designer light fixtures, & curtain rods. Smarthome upgrades! 3 car garage. Fresh exterior repaint. Adjacent trails and open space, convenient to everywhere!" "Beautiful McKay Landing home with tons of upgrades including Hickory floors with maple inlays throughout the main and upper levels. Hickory cabinets with dimming under mount lighting, caesarstone quartz countertops in the kitchen. 800 sq.ft of finished basement and 686 sq.ft. for storage. The backyard is amazing with a custom covered patio with quartz bar, Viking grill and a full entertainment system. Stamped concrete and stone for a custom firepit and bench with additional patio for a hot tub."